I love anything soft and cosy when it comes to babies. When we had Lily one of my favourite products we ever received (which we still have and still use to this day) is the Aden & Anais muslin blanket. We used Lily for daytime naps when she was a baby, cuddles on the sofa (as that way I got to share it too!) and as Lily got older we now use it for summer evenings as a blanket for her bed and we also use it in the car in the winter to keep her warm and toasty. To say it has been well used would be an understatement! As soon as I found out we were expecting again, I started browsing the Aden & Anais range and trying to narrow down which of their gorgeous products and designs I would add to my wish list. I contacted the PR for Aden & Anais and asked if I could review the Twinkle Dream Blanket and Aden & Anais kindly agreed. The blanket is just like our first one; soft, cosy and cuddly in a pretty print. Once you have one you find yourself wanting them all! The open weave & lightweight fabric of the Muslin material promotes airflow and reduce the risk of overheating. Muslin is also durable; an essential for any baby item! The Aden & Anais dream twinkle blanket is fully machine washable and stays super soft even after being washed; this is probably due to the four layers of 100% cotton muslin it has been made. Aden & Anais do a whole variety of other soft and pretty baby products; from muslin & organic swaddles to bibs and Muslim squares. They also have an amazing Disney print collection. 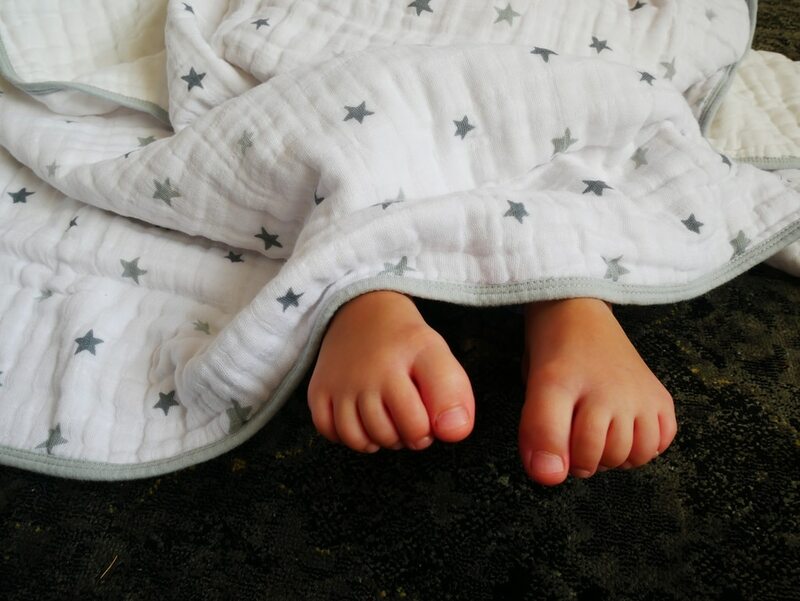 Disclosure: We were given our Aden & Anais Blanket FREE in exchange for an honest review.